You feel an inner prompting to lead a Women’s Bible Study group. Your response is one of panic and feelings of inadequacy. Though you love the Lord and His Word, the thought of leading a Bible Study group scares you silly so you hold back for one reason or another, I understand as that was me a few years ago. 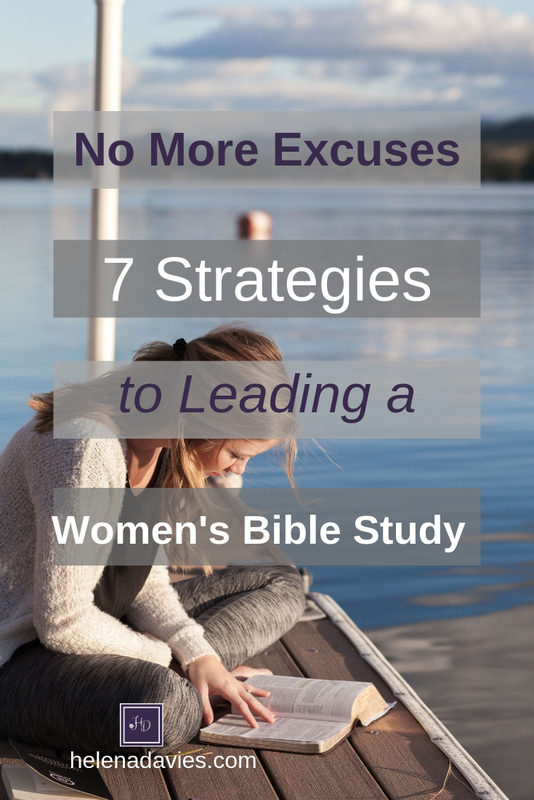 Let’s look at 7 Excuses and 7 Strategies to Leading a Women’s Bible Study Group. (1) I love God’s Word, but I’m not a teacher. While it is awesome to have the gift of teaching in the sense of expounding the scriptures, to see how one scripture ties-up with another, and the ability to communicate these truths so others get it. To understand the culture of the day and have knowledge of root words in both the Greek and Hebrew. Top that off by writing your own Bible Study; would simply be amazing! Let me just say I love learning from someone who is an anointed teacher, but let’s be real most of us do not process that awesome ability. We do however have teachers that do, some may even be in your own church and would love the opportunity to come and teach a small group. Another alternative and one which is popular with women are online Bible studies. We’ll come back to those in a little while. (2) My home is too small to hold a group. While that may be true for a large group, think small intimate group of you and three others, or you and one other. Oh the sweet fellowship you will have as you bond with each other over God’s Word. On the other hand, if the group is larger than your home can accommodate think about asking one of the group members who has a larger home to host the group. (3) I’m embarrassed about my home. A friend confessed she is embarrassed about the condition of her home and this holds her back from holding a small group there. Space was not the issue, so what was the problem? Outdated style and decor! Another friend with an up-to-the-minute beautifully decorated 6,000 sq feet home felt equally embarrassed. One felt their home was not enough, and the other felt their home was too much. The truth is while we all consciously or subconsciously take mental note of our surroundings and that includes homes we walk into. 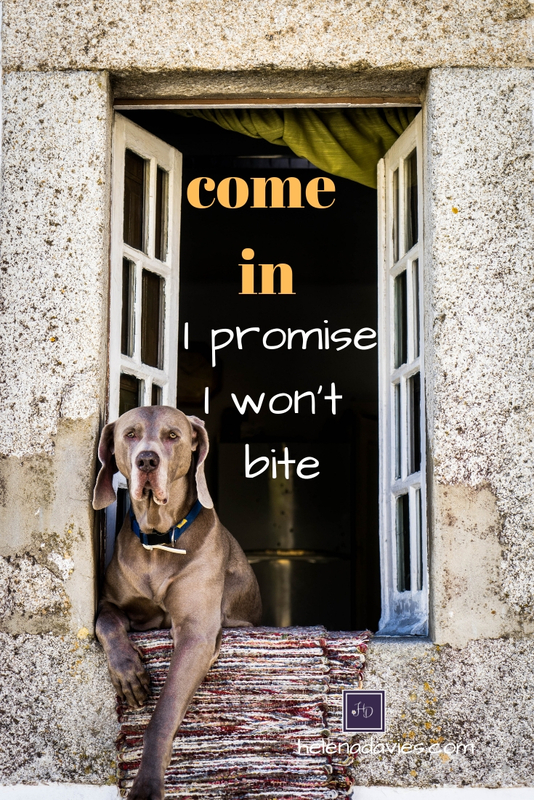 It’s the warm friendly atmosphere and genuine fellowship that will draw us back again and again whether the home is in need of updating or looks like it came straight out of the pages of a magazine. Offer to the Lord what you have, it’s about Him, not you or your home. (4) I cannot lead a group on my own. Ask someone who shares your heart for Bible Study to co-lead with you. I have co-led Bible studies for several years and love having another person to minister with. My co-leader and I alternate weeks leading the study. Our other responsibilities include a weekly email update to the group (that’s me) and a weekly group text (my co-leader). (5) I don’t cook, what will I feed them? Let’s just say cooking is not my forte’, so sister I hear you. Looking up recipes are not my idea of fun. Still, that said there is a way to provide something to nibble without being in the kitchen all day. I say nibble because no one is expecting you to provide a cooked meal, or provide for every like and dislike. If you have someone in your group with a particular dietary need try to include something they can eat. Fruit and vegetable trays work well for most people…and they can be bought ready to use. A mistake I’ve made in the past is providing too much food then feeling a little hurt when it was not heartily consumed. You may want to ask the group to take it in turns to bring a dish of their choice. 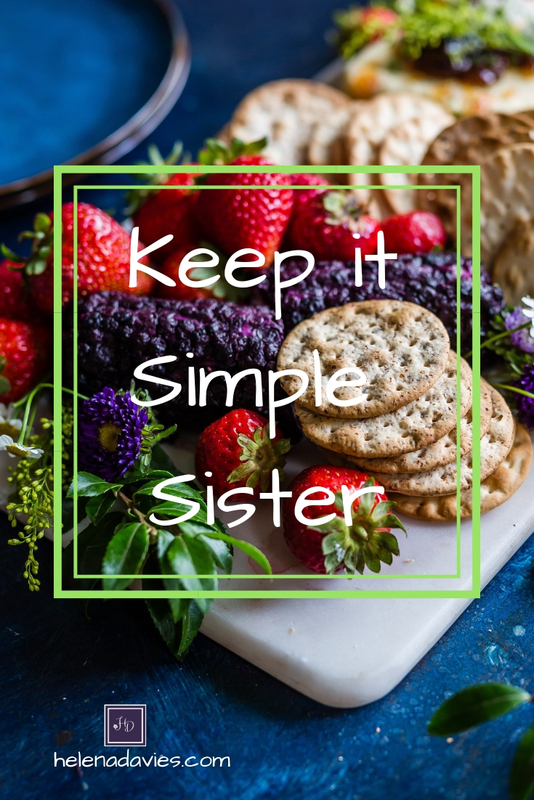 Keep it simple sister! (6) What would we study? As mentioned earlier in point one, online Bible Studies abound. The study books can be purchased not only online but also in physical stores such as LifeWay or Mardell’s to name but two. Ones I have done are Beth Moore, Lysa Terkeurst, Kelly Minter and my personal favorite Priscilla Shirer. Note; you are not locked into doing a study by a female author, there are plenty of male authors out there who are suitable for either male or female audience. As mentioned before…do your homework. (7) I’m not sure how to lead a study group. If you have ever watched a movie with friends and discussed it afterwards, then there is a good chance you can lead a study group using online video and physical Bible Study books. Most have a Leaders Guide you can purchase to go with the study. These are helpful as they direct you step by step how to lead a group from welcoming your guests, ice breaker questions, suggestions how to handle prayer requests and lead questions for the weeks study. The responsibility is lifted somewhat if you remember you are not the primary teacher. The author of the study book along with her recorded teaching has that covered. You and your co-leader are discussion facilitators. Still, you have a responsibility to lead them into truth. You don’t have to have all the answers, and don’t be afraid to say you don’t know, but make an effort to find out through personal study and/or asking your church teaching pastor. You are not in this alone. The most important thing to remember is the group is not about you or your co-leader. It’s about lifting up the name of Jesus and making Him known to others. It’s about loving the women the Lord has placed in your group by praying for them and with them. Laughing with them and on times crying with them. It’s about growing together in the Lord and in fellowship with each other. No more excuses. Go start your Women’s Bible Study. What is stopping you from leading a Women’s Bible Study? If you lead studies what advice would you give to someone hesitant to commit to leading one? Photo Credits: Girl reading; Bethany Laird. Dog in window; Robert Pruteanu. Food photo; Whitney Wright. All found through Unsplash. Way to encourage women toward leadership Helena! Love this so much. Thank you Darla. I pray they will step up to obedience and step away from excuses…the Lord knows I can come up with plenty of excuses myself. What an encouraging post and great guide for someone feeling the nudge to start a group. Your specific suggestions make it seem easy. I agree that having a co-leader gives confidence and takes away the fear of it being too much responsibility. I am sure you are an excellent Bible study leader. Thank you Dorothy. I think we often think everything as it be perfect before we can host or lead a Bible Study group. Love this Helena. Takes a little practice, a little prayer, and a friend alongside. Oh and do my Hospitality Bible Study. Lmk if you do and lll send you a leaders guide. Hospitality Bible Study….sounds interesting. If anyone knows about hospitality it’s you Sue.